Estate planning is a large umbrella that encompasses a number of things. Some of the different aspects your estate plan may cover include the disposal of your assets after you pass away, arrangements for end-of-life care or the naming of guardians for minor children. Your estate plan may evolve as you experience life changes and scheduling a regular review of your plan is a good way to ensure that it continues to meet your needs. As the year draws to a close, you may be reviewing your investments, budget or other financials. It's also a good time to take a fresh look at your estate plan and tackle any overdue tasks. There are certain assets in your estate plan that you might have named beneficiaries for. For example, you may have named your spouse as beneficiary to a life insurance policy, or to your retirement accounts. You can also name beneficiaries in your will to ensure that they receive any assets you want to leave them. Take some time before the year is out to review your beneficiary designations. If you got divorced, for example, you'd want to update your beneficiary information with your 401(k) or life insurance; otherwise, your former spouse would still be entitled to receive those benefits if you pass away. And if you got married, you'd want to add your spouse onto any accounts that allow designated beneficiaries. You should also check the beneficiaries you've included in your will to make sure no changes are needed. If you've acquired any new assets during the year—such as real estate, artwork or collectibles—or sold others, your estate planning documents should reflect those changes. At a minimum, you may need to update your will at year's end to account for any assets you've added or removed from your estate. You may also need to do the same if you've established a living trust for some of your assets. For instance, if you've purchased a vacation home, you'd need to transfer its ownership to your trustee to have it included in the trust. While you're making additions to trust assets or updating your will, take a moment to review your choice of trustee or executor, as well as your wishes for how you'd like the assets covered by both documents to be handled. A power of attorney grants someone else the ability to act on your behalf in certain situations. A financial power of attorney gives the person you choose control over your financial affairs. A health care power of attorney gives your agent authority to make medical decisions for you if you're temporarily incapacitated or unconscious. A durable power of attorney is used in situations where you become mentally incompetent as a result of illness or injury. These documents are important for estate planning because they can be used to cover just about any eventuality, while ensuring that your estate is managed according to your wishes. Depending on your situation, you may only have one type of power of attorney, or all three. At the end of the year, it's a good idea to review which power of attorney documents you have in place to see whether any gaps exist that need to be filled. You should also review your choice of agent for each one to make sure they're still an appropriate choice. Some digital assets have financial value, while others have purely personal value. In any case, your estate planning agenda should outline how you want these assets to be handled if you pass away and who is responsible for taking care of them. That's particularly important if you have financial assets in online bank or investment accounts that your loved ones will need to have access to. Some, but not all, states have laws pertaining to digital assets and how they can be included in an estate plan. An estate planning attorney can offer guidance on what the law specifies in your state. As the holiday season approaches, spending time with family is likely to be a priority. If you've made some adjustments to your estate plan, you may want to schedule a family chat to go over the changes. 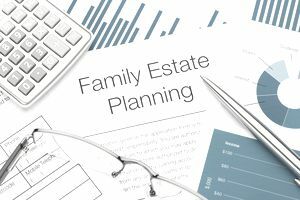 This is also a good time to allow your family members a chance to raise any questions they may have about your estate plan. Along with buying gifts or getting together for dinner, talking over estate planning issues may become an enduring—and helpful—holiday tradition.